High School teammates, Zach Rohaley, Nick Serafino, and Ian Hess celebrate after winning the Pennsylvania High School State Championship. Zach (Back Row, first player from left), Nick (Back Row, third player from left), and Ian (Back Row, fourth player from right) celebrate their 2013 Regional title. 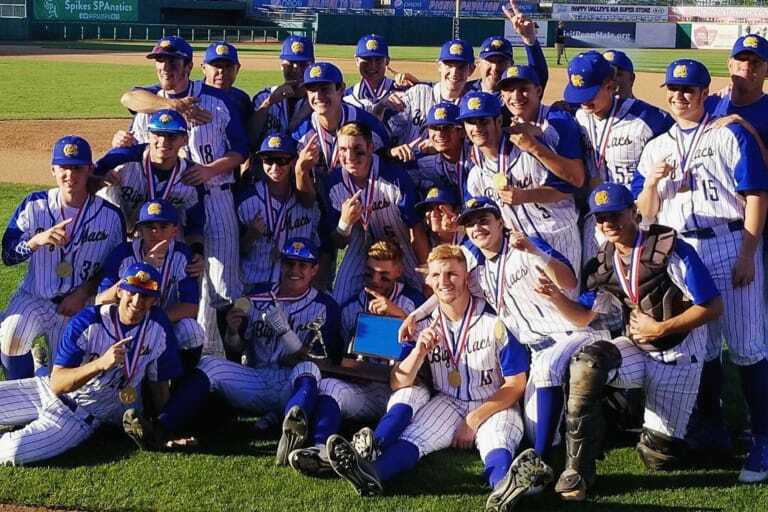 Canon-McMillian High School baseball team celebrates after winning the 2018 Pennsylvania High School state State Championship. Nick Serafino (left) and Zach Rohaley (right) make an official commitment to Wheeling Jesuit University. This year marks the fifth anniversary of Zach Rohaley, Nick Serafino, and their teammates from Collier Township, Pa., making it all the way to the inaugural Little League® Intermediate (50/70) Baseball World Series Championship Game. And, in the five years since showcasing their talents in Livermore, Calif., these teammates have bonded over baseball at every level. Zach and Nick have been long-time teammates on the baseball diamond, and more importantly have become close friends since they started playing baseball together at nine years old. 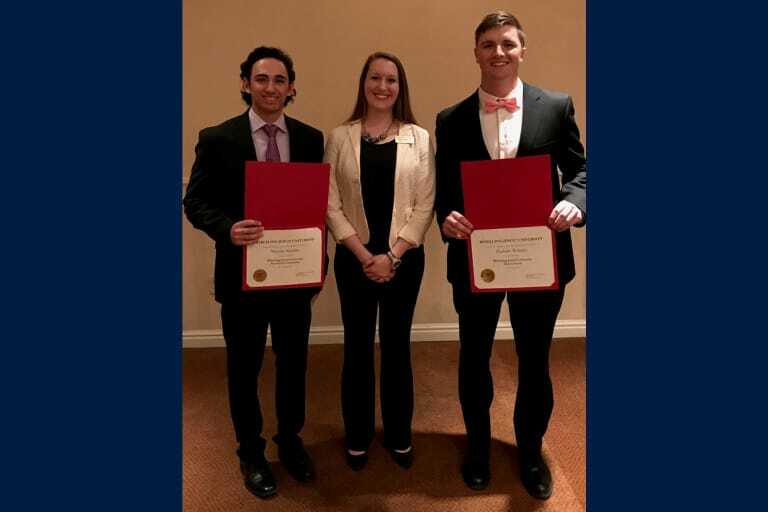 Born and raised in Collier Township, Pa., Nick and Zach grew up playing in Collier Township Little League together and are now headed off to Wheeling Jesuit University to continue their journey As teammates, fresh off their Pennsylvania Interscholastic Athletic Association Baseball championship. In 2013, Little League International officially launched a brand-new Intermediate (50/70) Baseball Division with a World Series tournament established in Livermore, Calif., for players between the ages of 11 and 13. For Nick, Zach, and their Collier Township Little League teammates, the Intermediate Division was exactly the opportunity they needed to bounce back after a tough 2012 loss in the Little League Baseball Mid-Atlantic Region semifinals. 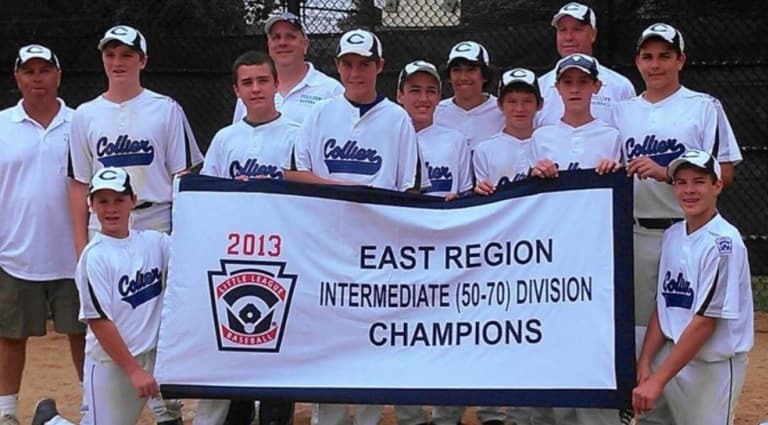 In 2013, the Collier Township Little League Intermediate Division tournament team played in one of the most exciting seasons they could ask for, winning their way through the state tournament to become the first-ever East Region champions. With the regional title in hand, the team went on to Livermore, Calif., to vie for the first ever Little League Intermediate (50/70) Baseball World Series title. That momentum continued during their time in Livermore, as Collier Township Little League went on to win the U.S. Championship against the Southwest, 5-4. Unfortunately, their run came to an end in the championship game as they fell to Izumisano Little League of the Japan Region, 10-1. Though they lost in the final, the undeniable talent that these young men possessed was not overlooked and Zach and Nick’s journey did not end there. The dynamic duo went on to play together for years to follow. Following their time in the Little League Intermediate (50/70) Baseball tournament, the two went on to play together at Canon-McMillian High School in Canonsburg, Pa., along with fellow Collier Township Little League teammate, Ian Hess. Zach was the primary pitcher, while Nick played a significant role in the outfield. Zach earned “District Player of the Year” honors three years in a row, as well as a Second Team All-State player to conclude his senior year. “I’m just blessed to have had the teammates that I did,” said Zach. With the help of Zach and Nick, the Canon-McMillian High School baseball team won the state championship this past 2018 season, and that was only the start of the good news for the two former Little Leaguers. “We’ve played baseball together for so long and now we’re excited to be rooming together in college,” said Nick. The two are going to continue playing together at the collegiate level as both Zach and Nick will be attending Wheeling Jesuit University in the fall of 2018.